Andrew was drawn to Renaissance Financial’s culture of personal attention and genuine concern for clients. The firm’s commitment to their clients resonated with his vision as a financial advisor. Helping people, whether it is preparing for retirement, assisting successful professionals, or supporting families, is truly Andrew’s passion and commitment. He takes the time to understand each individual client’s needs in order to develop a customized financial strategy that makes the most sense for them. 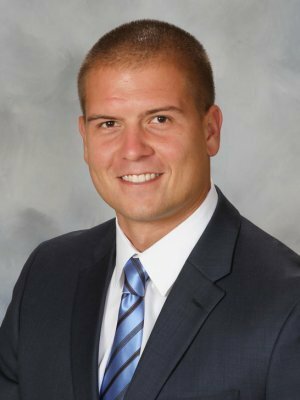 A bachelor’s degree in business administration with an emphasis in management from the University of Missouri–Columbia, along with a strong background in sales has provided Andrew with unique experiences that are an ideal foundation for his work as a financial advisor. A proud alumnus of Alpha Kappa Psi business fraternity, Andrew held many leadership positions and has gone on to attain his FINRA Series 7 and 66 registrations, as well as his Life, Accident, and Health Insurance Agent license. In addition, he is effectively supported by the strong and diverse team at Renaissance, allowing him to offer a wide variety of tools to better serve his clients. Andrew is involved with multiple organizations that includes being a member on the St. Louis University High School Alumni Board and a Director of the Haven Club, the young professional organization supporting Our Little Haven. Andrew strives to implement the values from these experiences into his work with clients. When he is not assisting clients, you can find Andrew spending time with his close-knit family, cheering on the Blues, playing hockey, or sitting in a duck blind.